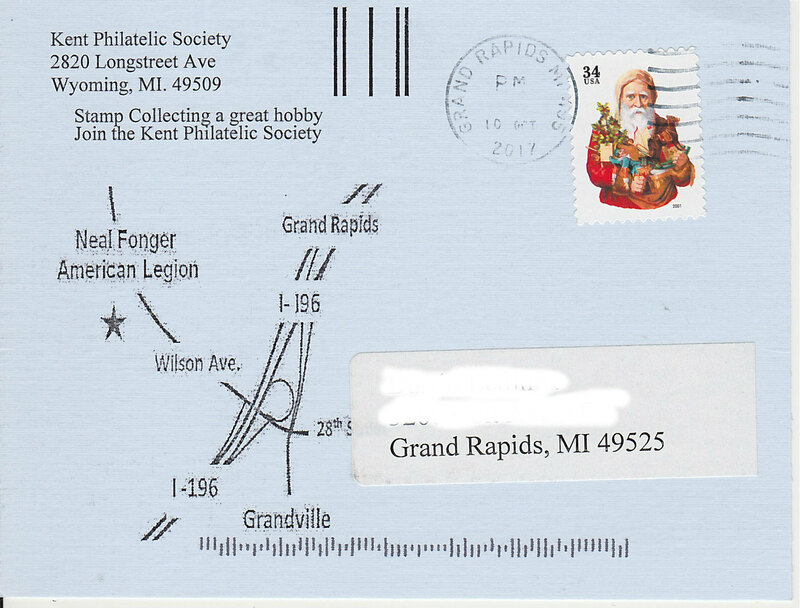 Would like to see this thread used by our members to show any upcoming Stamp Shows. Please keep this updated, Thanks!!!! Thanks for the heads up on this - not sure what I can do two weeks after Christmas but I'm adding this to my calendar all the same just to be around others who share my addiction. Yes, it's an addiction... no, I'm not interested in any 12-step program. kacyds, Yes! I'm actually taking off from work to attend this year. Missed last year because I was in South America at the time. At the last show I attended I actually came away with some pretty cool stuff. Got a Minkus World-Wide album that was almost half-filled for $50. I still don't have the heart to remove anything from it! I'm planning on getting there early Friday to get the good stuff! It's about a 2-hour drive from where I'm at in Lafayette. Isn't it usually a 3 day event? If anyone is in the New Orleans area this upcoming weekend, there is a stamp show!!!! I will be working the reception table on Friday 11:30-12:30.
kacyds , Yes! I'm actually taking off from work to attend this year. Missed last year because I was in South America at the time. Normally its a 3 day event, but decided not to have it on Sunday due to past years lack of people showing up on Sundays. I should be there at 10am on Friday and then Im working the front table at 11:30.
kacyds, Well if I make it - and I should - I will be sure to stop and say hello. Had 12 dealers at the show, shoved in a small conference room, and lots of people that showed up on a cold, raining Friday. Believe all 3 of us went home with some good stuff. kacyds, really enjoyed meeting you and ChickasawStampMan. Thanks for introducing me to everyone. When I heard there was only going to be 12 dealers I honestly thought it wouldn't be worth going to. Boy was I wrong! There was more than enough material to browse through. But really, it was nice just to get to talk to some other collectors. I really think I'm the only stamp collector in my city. Isn't there going to be a show in Baton Rouge? Does Crescent City have anything to do with that one? There is one n Baton Rouge, I think in May. Some of the same dealers will be there also. It's two different clubs, so I believe they don't have anything to do with each other. I know we have a few members here that live in the area and might be interested in some of these shows. Wish I was in Michigan! Just found out about a Stamp show in Houston. The Texas Stamp Dealers Association is having a show July 14-15 at the Crowne Plaza Hotel, 7611 Katy Freeway (IH-10 West), Houston, TX 77024. I might actually make an effort to go. I will be going to this on Saturday. I am past president of one of the clubs that puts this show on and the current contact and organizer is a friend of mine. I'll try to take some pictures of the show and tell you all what I pick up....which likely won't be much as I don't have a lot of stamp money budgeted right now. For those interested in these types of things (like me), the American Legion Post where this is being held has Sherman Tank out front...it has been there since I was a kid and I always loved driving by and seeing that tank out front. We happened to live in that area at the time. Here is the website for those who are interested. The tank is part of the home page slideshow. 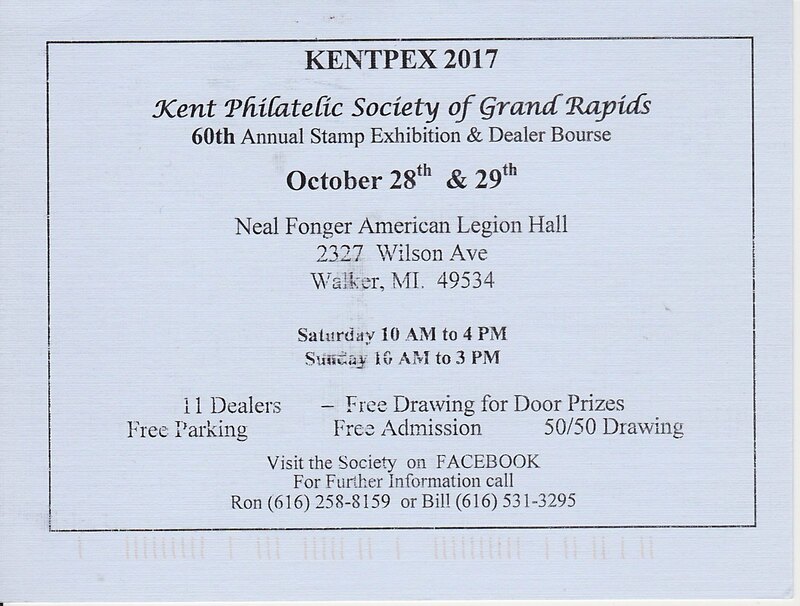 Hey fellow Michiganders...crazyquilter , clif, tomd , cbavier and any other members who want to come or are in the area...Kentpex 2017 coming up on October 28 and October 29 in Walker, MI. I might even have the weekend off to attend if anyone is interested in meeting up. WALPEX, October 28 & 29, in Waltham, Massachusetts, a few minutes outside of Boston. (Waltham looks like it should be WALT-umm, but it's really WALTH-ham.) I've never been to this one; I might go this year, but it's two hours away from my domicile, so I'll only attend if I can pull an overnighter.